Happy Canada Day! 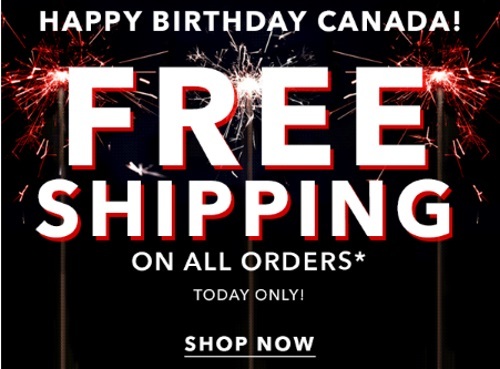 Forever 21 is celebrating with Free Shipping with all orders today! Also, they are having a BOGO sale on now, Buy 1 Get 1 Free on shoes and handbags with the promo code BOGOFREE (offer valid in-store and online). Free shipping is valid today only, BOGO ends July 4, 2016.